Joe Dobson: SARP Founder, Director and Coach. Joe has 23 years of experience coaching recreational and competitive rowers at the college, youth and club levels. He is a USRA recognized adaptive rowing technical classification official and has received Special Olympics coaching training. Joe is a retired Commander, United States Navy. He has coached our adaptive rowers since program inception. Betsy Mitchell: SARP Director of Fundraising and Outreach. 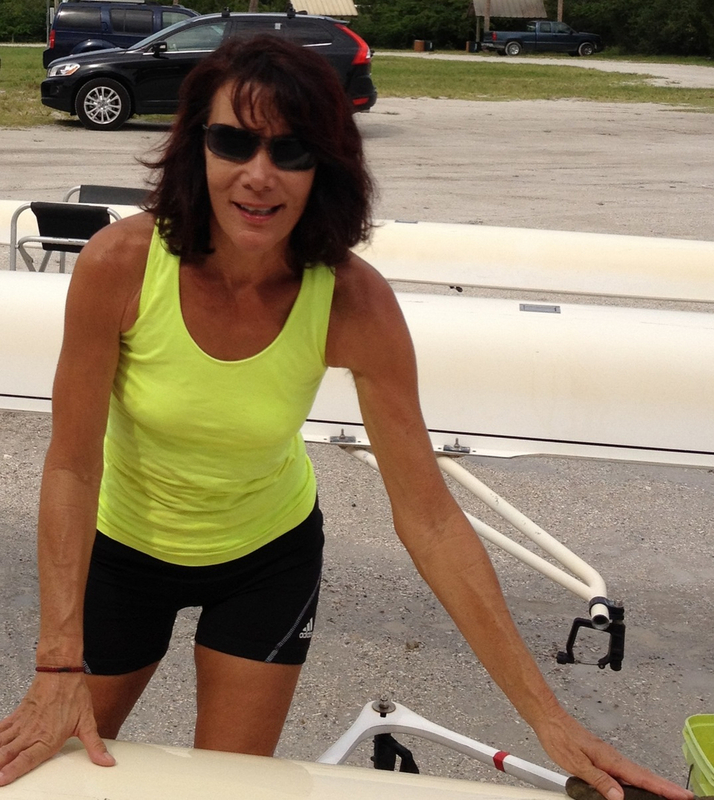 Betsy is a USRA recognized adaptive rowing technical classification official. She is also an adaptive rowing athlete (trunk and arms). We are lucky to have a committed core of volunteers from the Sarasota County Rowing Club and the larger community. Among them are Richard Prager, Debby Sirpilla, John McGurk, Willy Lee, Mark Laney, Julie Stewart, Dr. Jennifer Bencie and Dr. Lisa Merritt. Please contact us if you are interested in joining this incredible group of people. As a type one diabetic, I must manage my blood glucose on the water as well as everywhere on land that I am being physically active. I've had no problems on the water during the last 5 years -- mostly as a result of paying close attention to how I am feeling, and taking glucose tablets when I sense that I need to cure a lowering blood glucose event. That has worked well, and Jack & Bob, w/whom I row most often in the adaptive program, are aware of these issues, so it is working well. We recently made a long-term commitment to adaptive rowing by investing in training for eight SARP members through the United States Rowing Association (USRA), giving us nationally recognized certification in assessing the technical and medical capabilities of our program participants. 2012 Classifier Clinic: From Left, Betsy Mitchell, Mark Laney, Todd Yeomans, Sandy Brown, Joe Dobson, Scott Brown (seated), Dr. Lisa Merritt, Julie Stewart, Dr. Jennifer Bencie. Rich Prager is an invaluable part of the team, always ready to lend a hand! Debby Sirpilla stands ready, sponge in hand, to clean the boats and always helps the team with a cheerful smile and an encouraging word.